Medpro is pleased to announce that we will now be having a clinic in Penticton on Wednesdays. Call our Kelowna office at 250-860-0605 to request an appointment. The clinic is located at 613 Martin Street Penticton, BC V2A 5L5. George Louvros, President of MedPro Respiratory Care, is pleased to welcome Dr. Al Sperry to the organization. Dr. Sperry will be assuming the role of Chairman of the Board, effective immediately. Dr. Al Sperry brings 26 years of experience in the sleep industry in multiple international jurisdictions including Canada, U.S, Asia and South America to our organization. Dr Sperry, established and managed Sleep labs in multiple countries, in additional he has lectured at over 20 international conferences primarily on the value of Sleep Patient management and decreasing the comorbidities associated with Obstructed Sleep Apnea. Dr Sperry is committed to the improvement of the outcomes for Sleep patient. These validated protocols have been designed for improved outcomes by implementing a stringent and effective compliance regimen, ensuring the maximum benefit for the patients of MedPro Respiratory Care. We look forward to Dr. Sperry’s contributions to the continued enhancement of the MedPro Respiratory Care Sleep Disordered Breathing program. 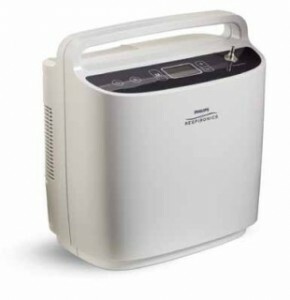 Philips Respironics has introduced the latest advancement in oxygen therapy. 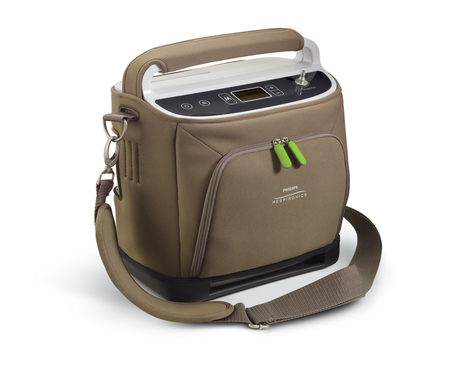 SimplyGo is the only portable oxygen concentrator (POC) to offer continuous flow (up to 2 liters per minute) and pulse-dose delivery in a single device weighing 10 pounds or less. With this combination of capabilities, the SimplyGo POC helps homecare providers manage the therapy and lifestyle needs of nearly all oxygen users. This newest innovation from Philips Respironics provides oxygen patients with greater mobility and simplicity to help improve their lives. It is being launched in North America and will soon be followed with international availability. Contact our Customer Service Representatives to Learn More! We always appreciate client feedback and Thank-Yous so we were pleased to receive this humorous poem from a former client. Oxy and GenGen, are returned to their home. No longer house bound, I am free to roam. Whilst here, they were helpful to my sickly condition. My ribs, cracked and bruised, enjoyed their emission. Limited my travel to once ‘round the hall. They just loved the car, nary a rattle. Was asked on the street what caused my condition. No one believed me, “You’re putting on airs”. Are wrapped ‘round my neck, my head, and manboobs. Or her roar as she fills my outside lung. bloody well awkward and irritating Nasal Cannula. They’ve been taken away, TODAY! Never the less; Thanks to the wonderful folks at: Island Health, Medpro Respiratory Care, Blue Cross, and, in particular to Dr. Manhas.